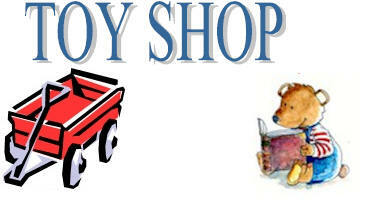 Click on a picture to see an larger view. 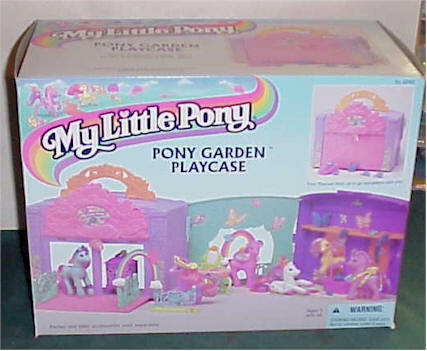 My Little Pony ........ Pony Garden Playcase. 1997 Hasbro, Inc. Mint in Box. Sealed on both ends. 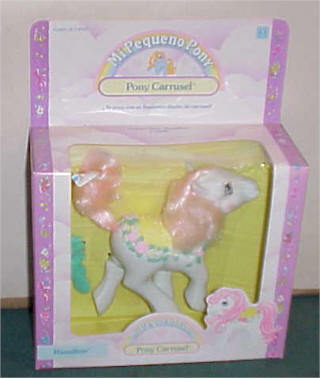 My Little Pony ........ 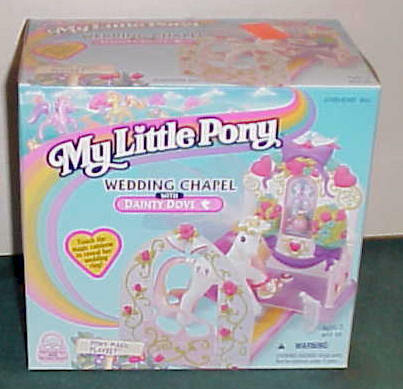 Wedding Chapel with Dainty Dove. 1997 Hasbro, Inc. Mint in Box. Sealed on both ends. 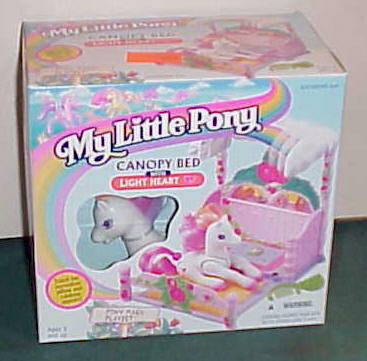 My Little Pony ........ Canopy Bed with Light Heart. 1997 Hasbro, Inc. Mint in Box. Sealed on both ends. 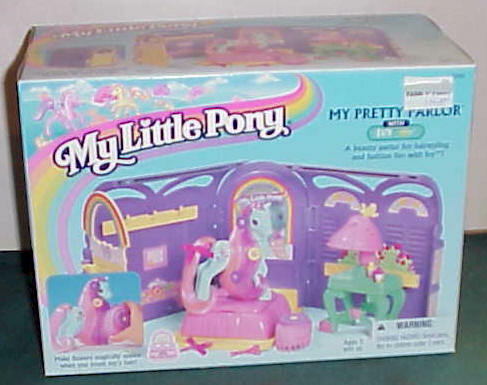 My Little Pony ........ MY PRETTY PARLORS WITH IVY 1997 Hasbro, Inc. Mint in Box. Sealed on both ends. 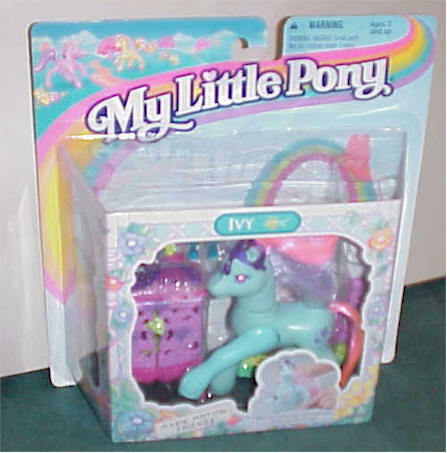 My Little Pony ........ IVY "Turn her head and she magically raise her front leg" . 1997 Hasbro, Inc. Mint in Package. 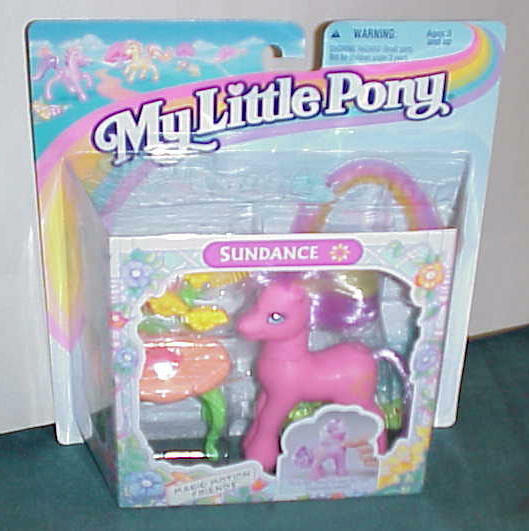 My Little Pony ........ LIGHT HEART AND SUNDANCE. 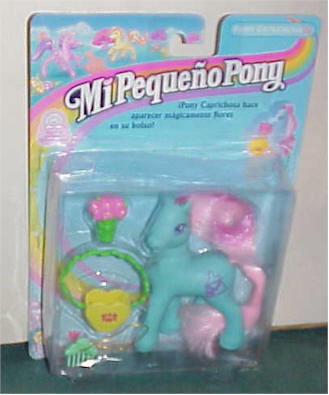 SPECIAL BIRTHDAY MAGIC - "Blow on the candle to magically make the flame disappear" 1997 Hasbro, Inc. Mint in Package. 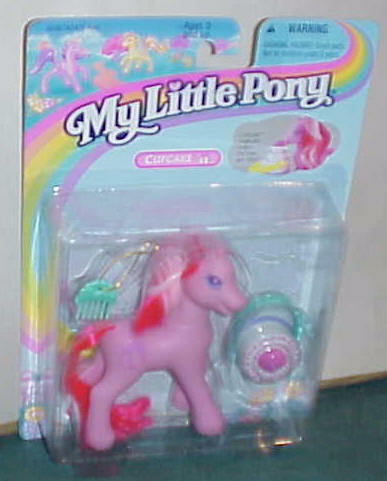 My Little Pony ........ CUPCAKE 1997 Hasbro, Inc. Mint in Package. 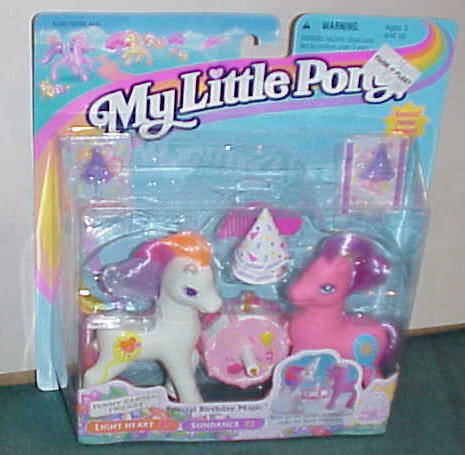 My Little Pony ........ SUNDANCE "Cupcake magically makes the cake get taller" 1997 Hasbro, Inc. Mint in Package. 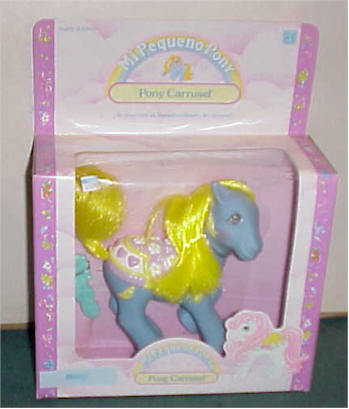 My Little Pony ........ . Caprichosa. 1997 Hasbro, Inc. Mint in Package. 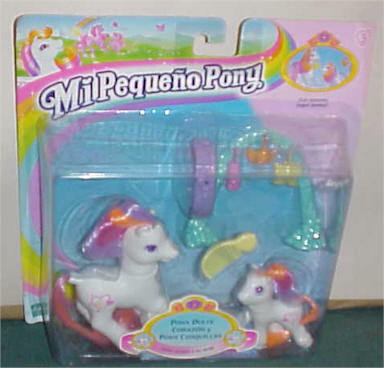 My Little Pony ........ .Secretos 1998 Hasbro, Inc. Mint in Package. 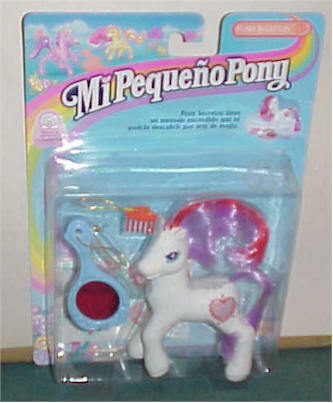 My Little Pony ........ .Dulce Coragzon and Cosquillas. 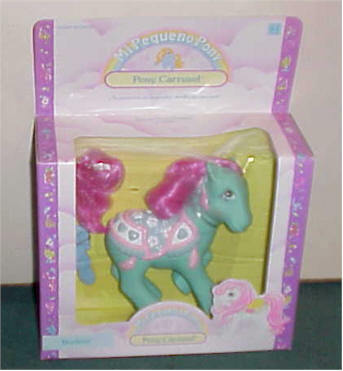 1999 Hasbro, Inc. Mint in Package. 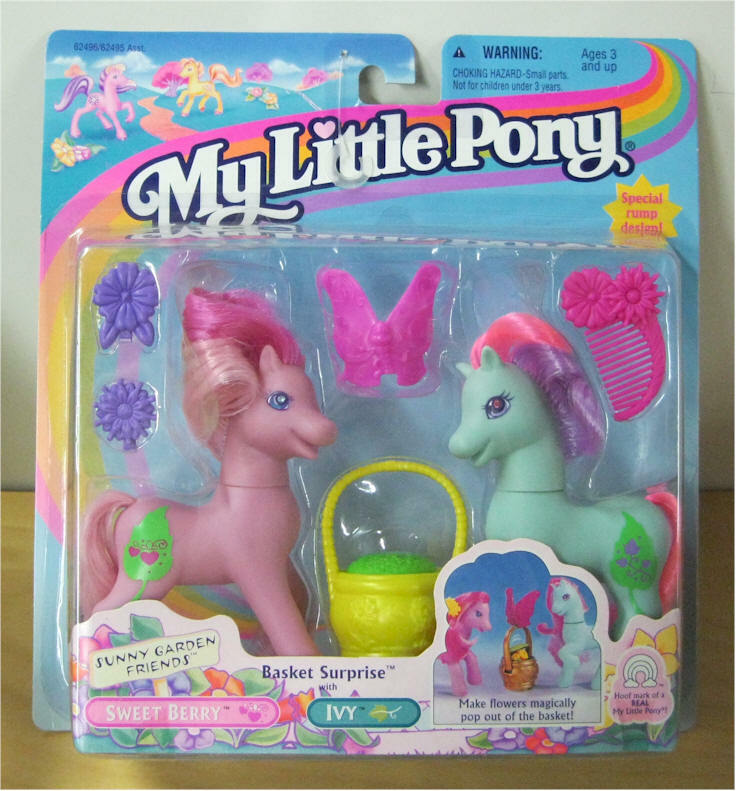 My Little Pony ........ . BERRY BRIGHT "Berry Bright's basket holds surprise decorations for her and you" 1997 Hasbro, Inc. Mint in Package. My Little Pony ........ . SKY SKIMMBER - "Dress up Sky Skimmer with beautiful butterflies" 1997 Hasbro, Inc. Mint in Package. 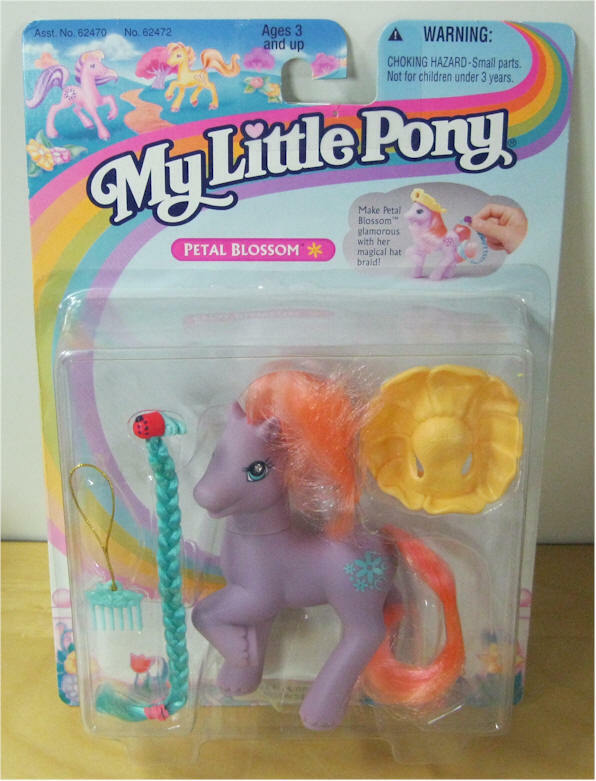 My Little Pony ........ . PETAL BLOSSOM "Make Petal Blossom glamorous with her magical hat braid" - 1997 Hasbro, Inc. Mint in Package. 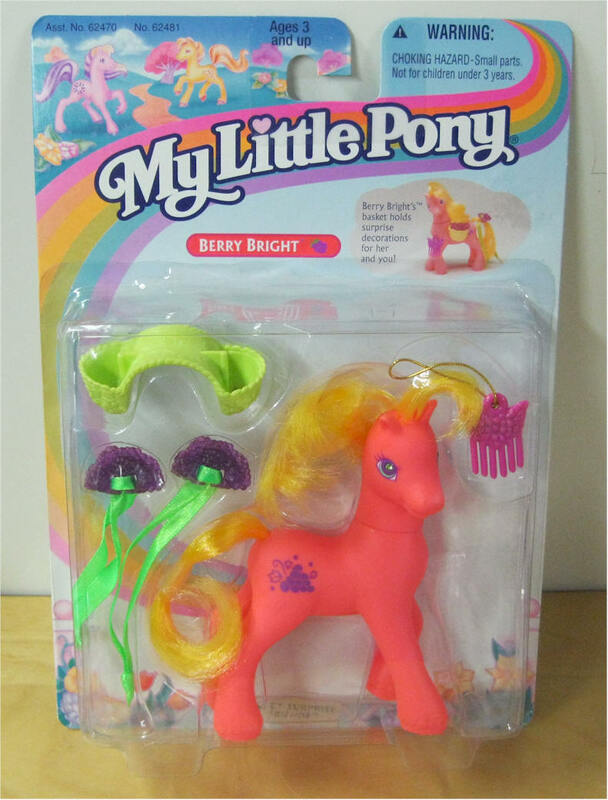 My Little Pony ........ . 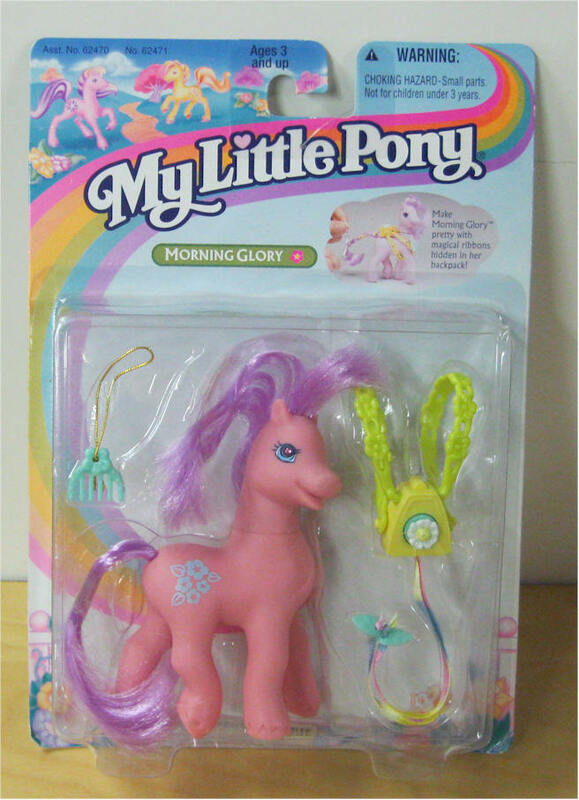 MORNING GLORY "Make Morning Glory pretty with magical ribbons hidden in her backpack" - 1997 Hasbro, Inc. Mint in Package. 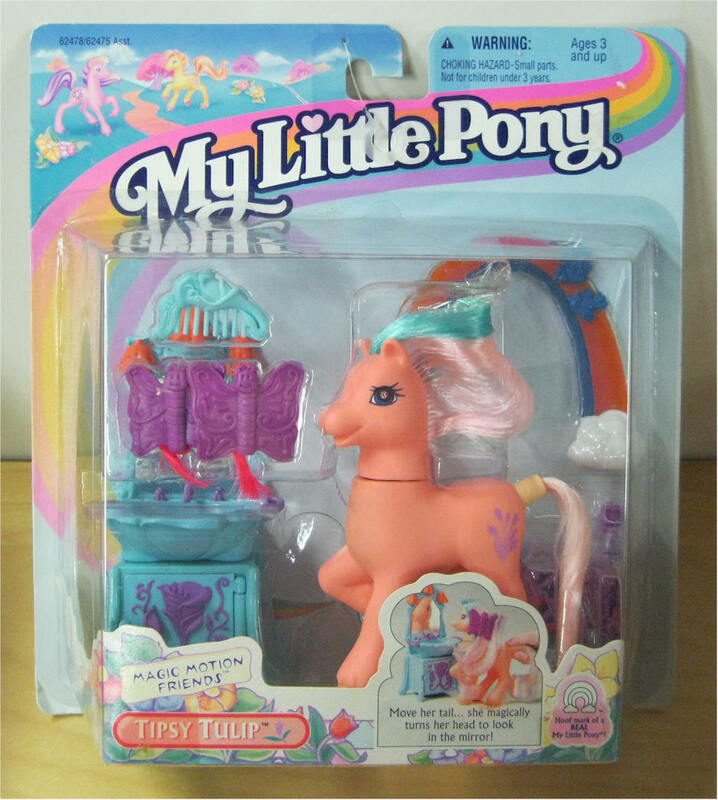 My Little Pony ........ . TIPSY TULIP "Move her tail .... she magically turns her head to look in the mirror" - 1997 Hasbro, Inc. Mint in Package. 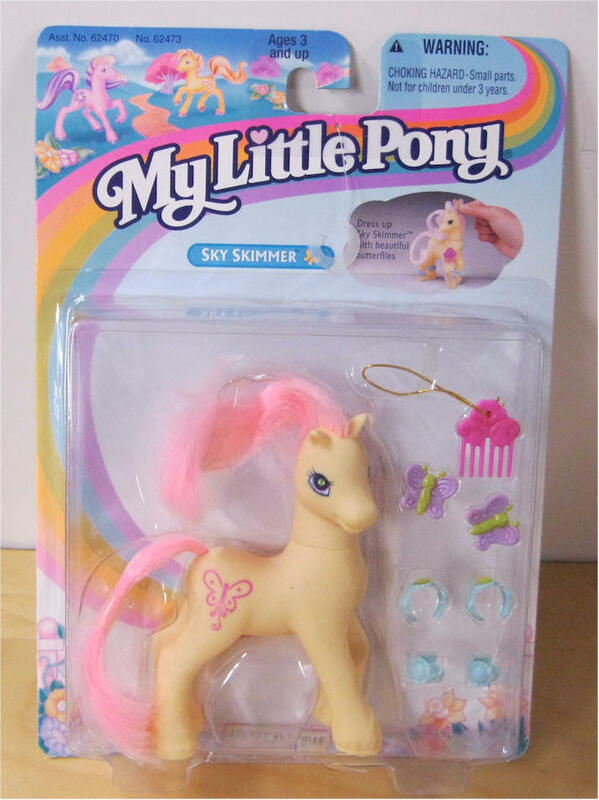 My Little Pony ........ . 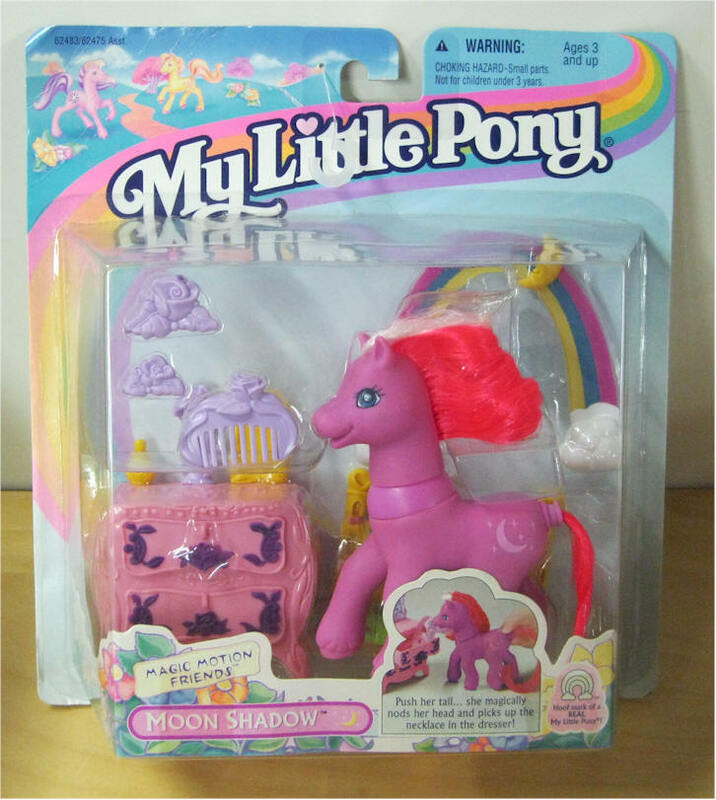 MOON SHADOW " Push her tail .... she magically nods her head and picks up the necklace in the dresser" - 1997 Hasbro, Inc. Mint in Package. 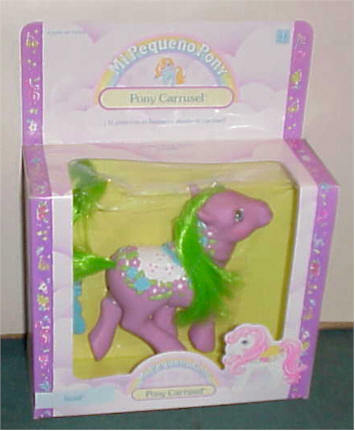 My Little Pony ........ .Pony Carrusel Ramiliete. 1989 Hasbro, Inc. Mint in Package. International.